Sally Vannoy lives in Bigfork Montana in the beautiful Flathead Valley. Being raised in an environment surrounded with towering mountain ranges, pristine rivers and lakes and an abundance of wildlife has helped shape Sally into the artist she is today. Drawing is second nature to Sally. She has been drawing ever since she could hold a pencil. A pivotal point in Sally’s life and career was when she moved to the Wind River Valley in Wyoming for 4 years for her husband’s work. Although being an accomplished draftsman, painting was a new endeavor. In Wyoming, Sally met some of the country’s premiere western artists whom she now calls mentors and friends. With no formal training, her mentors saw her raw talent and extremely hard work ethic and took her under their wing. 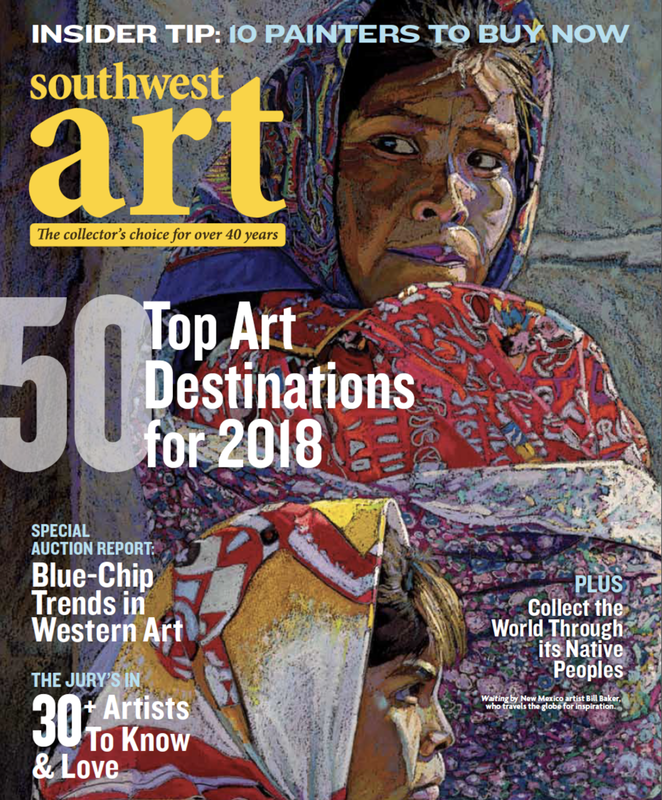 It was such an honor to be contacted by Southwest Art magazine for an article featuring me and my work in their January 2018 issue. Thank you to Kim and everyone that works so hard at Southwest Art magazine. I appreciate your support! It was a pleasant surprise to pick up my copy of the Flathead Beacon and find that they had placed my painting, “Portrait” on the cover of their special Fall Arts Issue. They also had a wonderfully written article accurately portraying me and my work. Thank you to Molly and the amazing crew at the Beacon! My painting, We Three Kings received the prestigious “Patron’s Choice Award” at the Timeless Legacy- Peace Park show! This historical event took place at The Hockaday Museum of Art in August and will remain hanging through November 2018. I felt incredibly honored that this piece was so well received by the patrons. I am humbled and grateful. Thank you!